It's kind of a glorious morning in Waco. 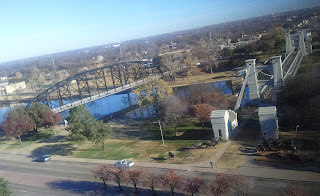 The above picture was taken from the 11th floor of perhaps the tallest building in the city. The trip to Waco jump starts a very ambitious road trip, but it was a trip I made here several years ago that was the culmination of one. In fact, that's when I sat down a started this little pocket of the internet. 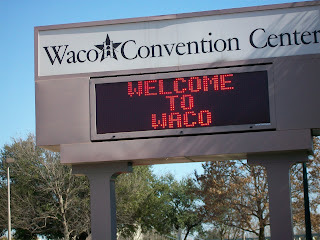 Three hundred and fifty posts ago, Backtime's first entry was titled Waco On The Way.